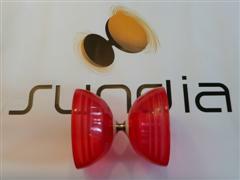 Diabolomoves.co.uk - The UK's Official Sundia diabolo shop. We offer the largest product range and best prices for all Sundia products in the UK. Diabolomoves.co.uk :: The Official Sundia UK Diabolos store - Biggest range and best prices. � 11/06/2018 LED sticks (New brighter type Blue/White) are now back in stock. � 01/06/2018 The new Sundia Falcon diabolos have arrived and are in stock now.